On March 28, 2014, Tokio was diagnosed with Sebaceous Adenitis. Oral medication was not an option due to his kidney disease. 2 hr oil bath every 3 days moist his scrap and delay the secondary infection, however he was not getting better. On April 24, 2014, Tokio started Summer winds product; Shine Onn Shampoo and Protect-A-Coat Conditioning Oil, according to Debra and Gibson’s testimonial. Since the first application on April 24, 2014, The Protect-A-Coat Conditioning oil after 2 hr oil bath work magic on his skin. He no longer has to suffer from dry and infected skin. His coat began to grow back, even the inner soft coat is back. On June 11, 2014 Tokio had a stroke due to high blood pressure. He has been recovering well. But ever since the stroke, and the secondary illness such as pneumonia, Tokio could not have any more oil baths. He depended solely on applying Protect-A-Coat to moist his skin using Ketchup squeeze bottle. 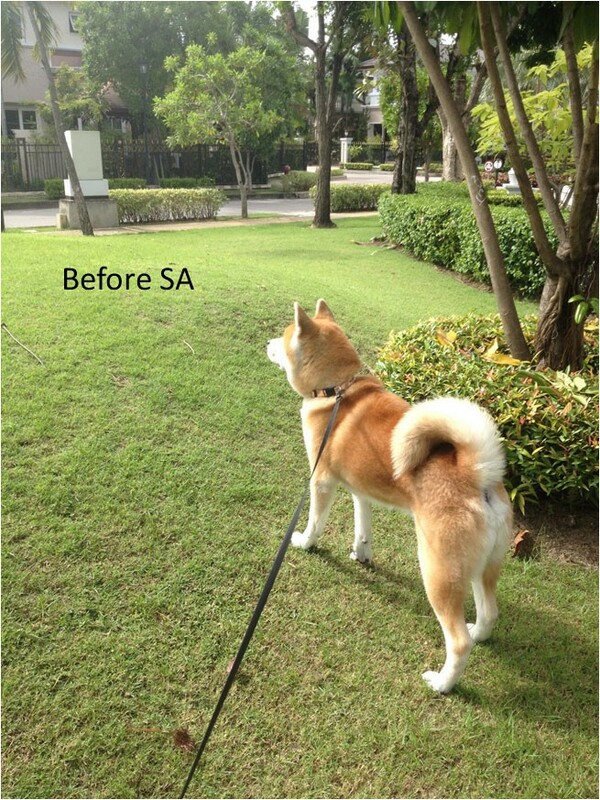 With the vet’s permission, Tokio had a full bath on June 28, 2014 and July 7, 2014 with only Shine Onn Shampoo and Protect-A-Coat Conditioning Oil. It is a miracle to see a big smile on his face again. He is recovering well with healthy skin and fluffy coat!